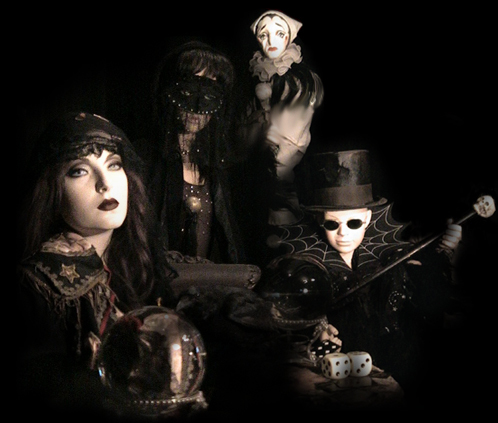 For those with a flare for dark, beautiful, vintage gothic antiques, jewelry, and occult décor, Gothic Rose Antiques welcomes you. Within our website shop, you'll find only the finest intricate specimens with a taste of the macabre including rare books, vintage Victorian jewelry, apothecary items, vintage Victorian décor, Old World bronze statues and other fascinating oddities & curiosities. Throughout our collection of haunting antique décor, you will encounter the finest selections of candelabras, tapestries, dungeon décor and vintage Victorian décor. We also have a vast array of furniture items, vintage caldrons, lamps, and antique mannequins. All of our items feature unique characteristics that you're unlikely to find anywhere else. If you are someone with specific tastes in gothic horror literature and accessories, our library has numerous offerings you should find enticing. From rare printings of the works of Edgar Allen Poe, to vintage crime fiction, to bookends and desk items, we'll help you build and complete your library. For items of a more personal nature, our shop has what you're looking for. In addition to beautiful vintage Victorian jewelry items, we have other unique offerings including vanity items, costume accessories, dolls, hats and so much more. We're sure you'll find something you love. Have a Taste for the Unique? Nestled throughout our shop you'll find various apothecary, masonic, sideshow and circus items to help you complete your collection. Additionally, our inventory includes such items as voodoo dolls, skulls and bones, as well as tarot cards and antique medical devices. You can browse our selection of items online and we'll mail directly to you. Our selection is constantly changing as new items are added practically every single day – so join our mailing list and never miss a sale.